A day of fun at Boomers Vista promises endless hours of group activity fun! 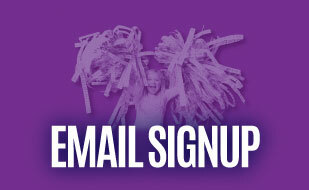 You will be the first to learn about exclusive offers, special events and Boomers Vista news! Boomers offers Vista's best family-friendly fun, featuring an awesome arcade, exciting go kart racing, two 18-hole miniature golf courses, kiddie rides, laser tag, and bumper boats! Whether you are celebrating a birthday or looking for something to do with the kids, Boomers is the ideal destination. 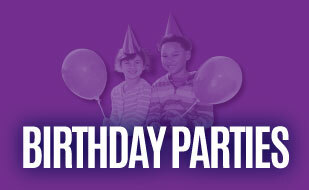 Be a Birthday Hero and host your child’s next birthday party at Boomers Vista! Our parties are full of fun games, exciting rides, and great food. Pick your date and let us do all of the work while you create great family memories. Packages start at just $99.99! Looking for a great lunch, dinner, or quick snack? There is no need to stop the fun to eat – visit Johnny Rockets, located inside Boomers Vista. Johnny Rockets offers all of the classic foods you love, such as hamburgers, hot dogs, onion rings, and hand-spun milkshakes, all in a fun 50’s style setting.